A collaboration with James Stephens Army Barracks, all proceeds are going to The Good Shepherd Centre for homeless men in Kilkenny. This wonderful experience begins with a tour of the James Stephens Army Barracks, starting at the Museum which has an important role in Kilkenny’s heritage. The tour will end with ‘Silent Night – Christmas Day 1914’ – A commemoration of the truce during the First World War when soldiers from both sides met peacefully to share a precious pause in the carnage and a fleeting moment of brotherhood. This special event welcomes visitors via the side entrance to the museum with a line of wooden soldiers standing to attention as a fun addition to the overall decoration. 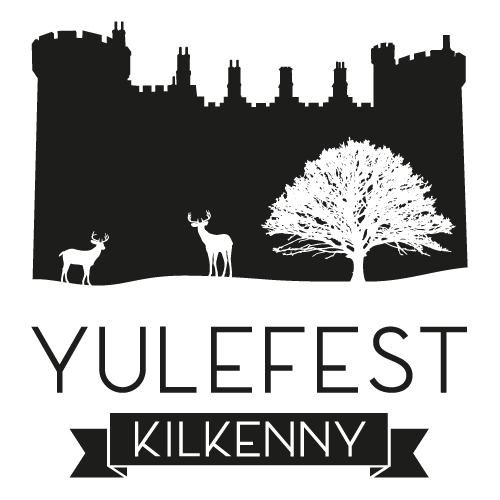 The Cobbled Courtyard – here the visitors will get to meet ‘Santa paws’ Fionn the Army Irish Wolfhound mascot (10mins). This event is being filmed by the Young Irish Film Makers as an archive resource. If tickets are sold out you can still support The Good Shepherd Centre by purchasing special Christmas cards or a 2019 calendar featuring Fionn (Irish Wolfhound and mascot for the 3rd Infantry Battalion) with proceeds going to The Good Shepherd Centre and Teac Tom. Fionn calendar (€10) and Fionn Christmas cards are available directly from the James Stephens Army Barracks, Ballybought Street, Co. Kilkenny, tel: 056 772 1174.